When you have a sensitive skin, using any unknown hair removal cream for removing your body hair may lead to painful and unpleasant results. Hair removal can become very unpleasant, particularly when you want to remove stubborn hair from your legs, arms, underarms and bikini line portion. But you can now remove your unwanted body hair in the most convenient way possible. Try New Veet Silk & Fresh Hair Removal Cream, Sensitive Skin for delightful hair removal needs. The specialty of this cream is that it works close to the root of the hair, helping you get superior, long-lasting smooth results effortlessly. The speciality of Veet Silk and Fresh cream for sensitive skin is that it will not only help you get a hassle-free hair removal experience but allow you to get your skin moisturized for up to 24 hours. To treat your sensitive skin, the cream is enriched with Aloe Vera and Vitamin E, which are known for their skin-friendly properties. The cream allows you to get a flawless skin effortlessly and the results will last for upto 4 weeks. Meaning, when you remove your unwanted hair from your body using Veet cream, you can enjoy hair-less skin look for upto 4 weeks. 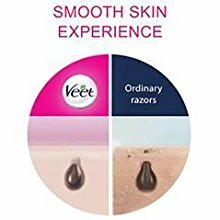 When you begin to use Veet Silk and Fresh Hair Removal Cream regularly, you can find hair regrows only to a short height making it convenient to remove body hair subsequently. With Veet you can get a hair-less, smooth, moisturized and nourished skin. And you can wear any outfit that can flaunt your flawless skin. What are the Benefits of using Veet Silk and Fresh Hair Removal Cream for Sensitive Skin? - Enriched with skincare ingredients, Aloevera and Vitamin E, which are known for its skin softening and soothing properties. 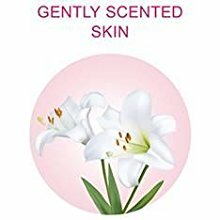 It also comes with Jasmine fragrance to give you a pleasant smell after hair removal. Invigorating Jasmine fragrance needs no explanation. How to use Veet Silk and Fresh Hair Removal Cream for Sensitive Skin? What are the Ingredients of Veet Silk and Fresh Hair Removal Cream for Sensitive Skin? - If you are skin-sensitive medication or currently taking treatment for skin related health issues, then consult your physician before using Veet Silk and Fresh Hair Removal Cream for dry skin. - Don't use the cream on varicose veins, scars, moles, spotty skin, broken or sunburnt skin. Do not use on portion of the skin that already had an adverse reaction to hair removal creams in the past. 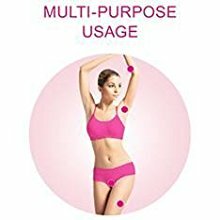 - Avoid using any anti-perspirant spray or don't go for sunbathing within 24 hours of application of Veet Silk and Fresh Hair Removal Cream for dry skin. - Make sure you don't scratch the skin within 24 hours of application of the cream.